In the middle of my hurricane life of concerts, recording sessions and travel with Dianne, I was able to come up with this new piece for the group. I incorporated said “quirk,” some 7/4 and some blowing for the stringers and I’m happy to report that we’ll premier “The End” at this week’s FREE concert in Encinitas. 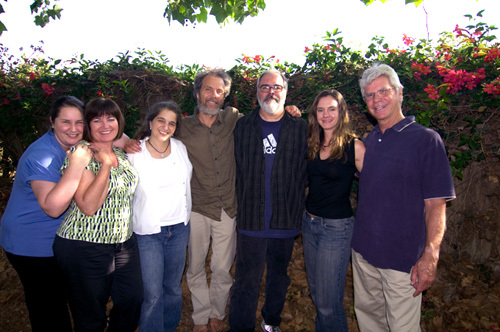 We’ve been awarded a grant (the series is funded, in part, by the City of Encinitas and Mizel Family Foundation Community Grant program) to present two shows in Encinitas in 2009-2010. This week’s concert will be held at the Encinitas Community and Senior Center and again, it’s FREE to get in! Stoke! The place has great sound and vibe and it’s right off of Encinitas Boulevard for easy access. It’ll be myself along with Bridget and Jeanne on violins, Pam on viola, Carter on cello, Bob on bass and Duncan on drums and percussion. 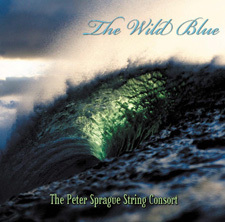 We’ll play music from my latest release “The Wild Blue” as well as the new tune. I’m really looking forward to this concert and I hope to see you there. Look below for the details. The Consort taking a break from the mysteries buried in the End of the Internet. Bob Magnusson  bass 7:30 PM We've got a new recording called "The Wild Blue" and I've written a new piece for the group. We're all fired up!